By now, many of us have spent thousands of dollars making sure our customers can access our websites and products on just about any device. We get it: mobile is here and it’s here to stay. I want to get more customers to make purchases using their smartphones. What is one tech improvement we can make that will help me move the needle? Don’t fall into the trap of believing that your opinion about your customers matters because it doesn’t at all. Find out what your customers want from you and how you can better deliver it to them, and then, get out of the way. Sharpen your mobile presence around what your customers have told you they want — not what you assumed or what you want them to want from you. You can destroy a perfectly good business with brilliant but worthless opinions about your customers. Focus on optimizing mobile sales for iOS. Although 80 percent of smartphone users have Android phones, recent research shows that iOS users do more mobile shopping and, on average, spend more dollars on each transaction than Android users do. In the long term this may change, but for now, devote a little more attention to shoppers with iPhones. Temporary price breaks are the single best way to drive conversions online. Include a coupon code for first-time mobile visitors to move the needle. Your customers are going to compare prices anyway, so have a price comparison on your mobile app. As long as your products are competitively priced, you’ll enjoy more purchases. 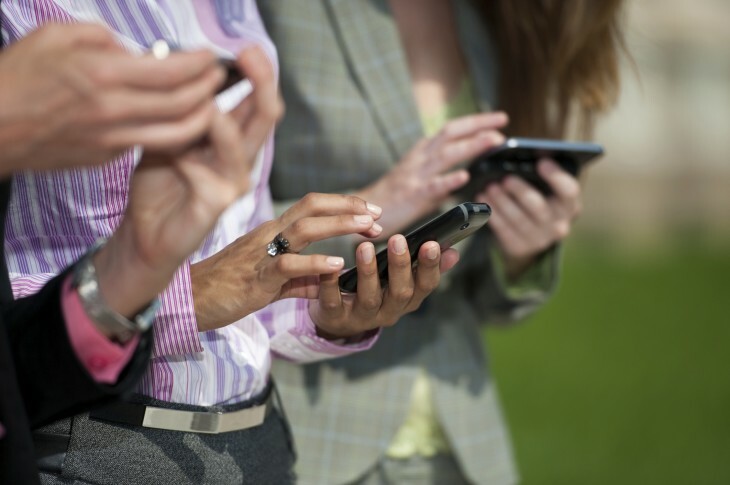 Make sure your mobile website has strong calls to action on every page. Mobile websites can easily take advantage of this strategy by using prominent, clickable buttons. Special buttons should stand out by being a different color or a slightly larger size than the other navigation options. They will get even more attention if they are visible without having to scroll to find them. Streamline your mobile user interface to lead your customers where you want them to go in as few steps as possible. Use easy-to-click buttons, and make sure your pages load quickly. To me, mobile is all about the experience. There is no more questioning if customers will purchase via mobile; we already know they will. But it needs to be a seamless, natural experience to browse, shop and checkout. Texting is the future of marketing. By generating outbound SMS messages with embedded links to mobile websites, you can reach consumers quickly and via a medium that allows for instant return. A text message can encourage an easy click to make a purchase. When the customer receives a text that says, “Click here to buy,” the customer clicks the link to the site and makes the purchase. Of course, this method assumes that you already have a mobile-optimized site. Apple and Google have technology that allows data to be sent to smartphones over short distances, and that creates contactless payment systems like Google Wallet (which uses NFC). iBeacon, available in the iPhone 5s, allows physical retailers to create an iBeacon region and deliver personalized notifications based on micro-location and in-store actions. You deliver the right offer at the right time to the right person in the right location. An obvious solution is having a mobile-friendly or responsive design website for mobile users. You should also work on automating as much of the checkout process as possible. If you can keep the user logged in indefinitely, then do so. Save credit card and account information as much as possible, and consider PCI DSS compliance. If all the information is saved and all the customer has to do is enter the card security code, then you will end up with a better user experience and more purchases from a mobile device.